It's hard now to express just how seismic and shocking the arrival of Old Boy was on the international film scene. Whilst it is, quite rightly, adorned with "classic" status a decade on from it's debut (to the degree that the Spike Lee helmed remake is the subject of much angered scorn and derision before it has even been released), the movie was nothing if not controversial when it first appeared - from graphic violence through to the (real life) eating of a live octopus, there seemed to be no taboo unchallenged over the course of it's run time. That Park Chan-wook also brushed aside conventional film grammar for large swatches of his uber-violent masterpiece, meant many on-lookers were not quite certain what they were viewing. It was vicious yet also clever, brutal but melancholic - it combined Japanese Manga (which provided the source material for the film) with video game visuals, a tone which veered on lunacy yet a narrative which played the audience like puppets. Whilst there are many reviews and discussions about the startling aesthetics of Old Boy, the barriers it pushed in terms of on-screen aggression and the plethora of cinematic techniques it unloaded onto an unsuspecting world, there are very few instances where time is taken to discuss one of the key elements of the feature - it's heart. Old Boy is the tale of Oh Dae-su (Choi Min-sik at his most ferociously feral) a businessman who finds himself kidnapped by unknown assailants and locked in solitary confinement for fifteen years. His only companion, a television, shows him the events of an outside world as the years tick by - one, the murder of his wife, a crime in which he is named as the prime suspect, is the most attention grabbing. After a decade and a half of impotent rage, Oh wakes up to find himself on top of a building, released from his jail but with no clue who initially took him or why they've released him now. All that fills Oh's heart is an immutable fire and a vow for vengeance on the perpetrators. A taunting phone call from his anonymous captor, who infuriatingly refuses to reveal any information, only fans his anger further and the two become embroiled in a Machiavellian battle - at stake is not just each others lives but, crucially, their souls. 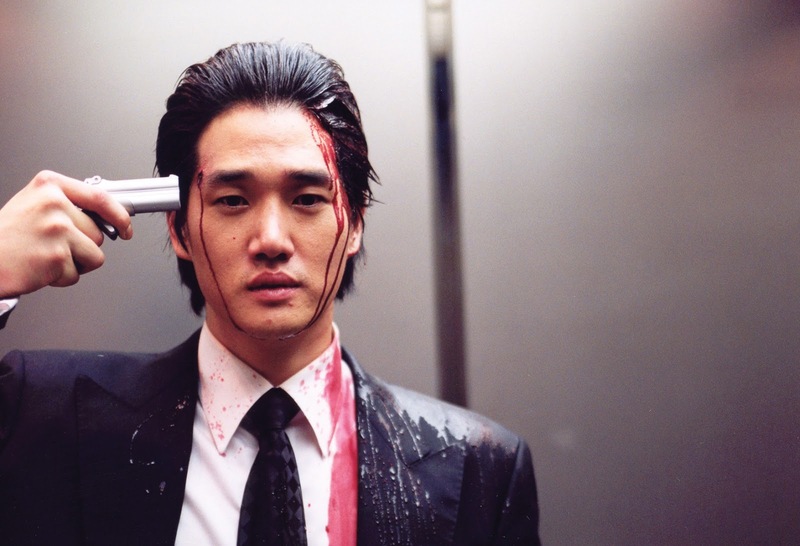 Much like Sympathy for Mr Vengeance and Lady Vengeance, Old Boy is a film which clearly communicates the futility of revenge and the escalating consequences which comes with pursuing this - not just on others, but also on one's own psyche. For Oh Dae-su, the thing that cripples him more, even, than grief is his base impulse for inflicting violence on those who he believes to have wronged him - it is with an operatic level of crescendo that Oh's actions unspool him to the core of his being. This is the strength of Old Boy - not the stylised fight sequences, labyrinthine whodunnit element or indeed even the immaculate performances strewn throughout (including the sterile yet deranged Yoo Ji-tae as the antagonist) but, rather, Park's illumination at how low the human heart can drag us. A quick word of warning must be heeded, however, for those who have not yet watched this South Korean movie - a strong stomach is not just recommended, but actively required to sit through this successfully. * Old Boy, alongside Sympathy for Mr Vengeance and Lady Vengeance, is part of Park Chan-wook's Vengeance trilogy which is now available, exclusively on Blu Ray, at Zavvi. This copy was sent to me for review purposes.